I glanced out the window and saw the squirrel to the right sleeping on the fence and decided to try to get a picture of him while he was sleeping. I never saw the squirrel on the left sneaking up behind him. 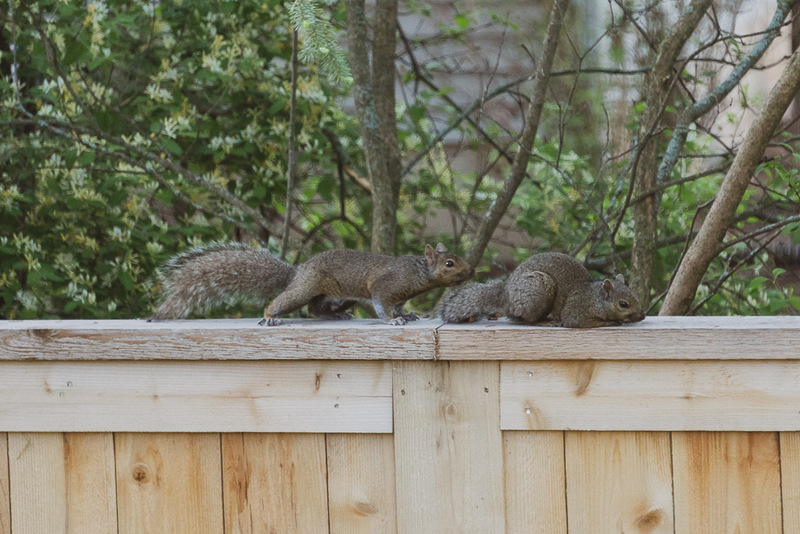 I snapped the photo and then watched as they chased each other around the yard, finally disappearing into the trees. When I looked back at my camera, I realized I had captured the moment right before the sneaky squirrel goosed his unsuspecting buddy. This photo is part of the Squirrels gallery.